Winning a contract to build a new 4×4 would not secure all the jobs at risk at Ford Bridgend, according to one of the UK’s leading car industry experts. A decision is imminent on whether Ineos Automotive will build its new off-road vehicle in Portugal or Bridgend – where 1,000 jobs are under threat. But Aston University’s Prof David Bailey said the contract would create no more than a few hundred jobs. Ford said “the auto industry is undergoing rapid change”. Prof Bailey, who has written extensively on car industry policy and strategy and has acted as a special advisor to a cross-party group of MPs, said Ineos’s plan was seen by some as a “vanity project”. He said it was unclear how many cars would be produced under the potential deal or how profitable the model would be. Jaguar Land Rover, which previously manufactured the Defender model Ineos Automotive hopes to replace, never made much money from it. Prof Bailey said the production of electric motors was much more important to securing Ford Bridgend’s future. In his view this would require the UK remaining in a customs union with the EU, and agreeing a trading relationship that is as close as possible to the single market. It would also require much more government support for the adoption of electric cars, he said, adding the current situation looked “very worrying” for the engine plant in Bridgend. Prof Bailey described a no-deal Brexit as a “catastrophe” for the car industry, which he predicted would mean plant closures. He believes Ford in Bridgend, Vauxhall in Ellesmere Port – where many Welsh workers are employed – and Jaguar Land Rover in Castle Bromwich in the Midlands are the three sites which are most vulnerable in the event of no-deal. Bridgend MP Madeleine Moon agreed that a “hard Brexit or any Brexit that does not keep the UK in the customs union will be devastating for the automotive industry, which is based on just on time processes”. She also called for the UK to remain “ideally in the single market to maximise any future sales and development”. 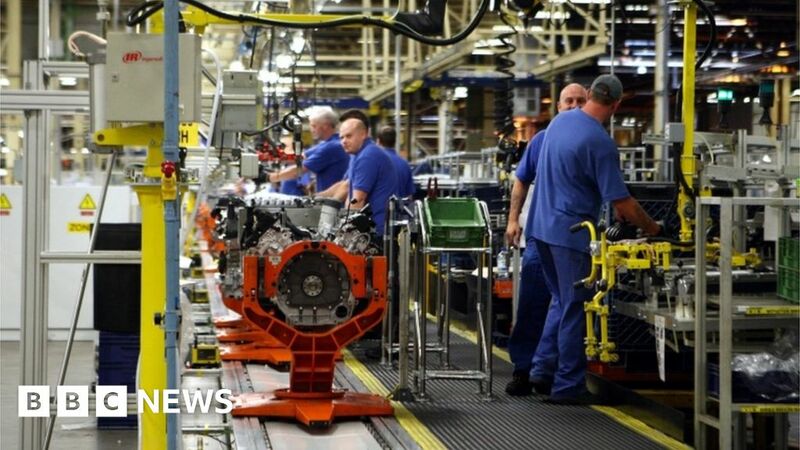 Unite Wales said it had consistently argued against a no-deal Brexit and it was currently working with Ford and the Welsh Government to try and find alternative investment for Bridgend and maximise employment at the plant. A UK government spokeswoman said it continued to engage with Ford on their European-wide restructuring plans and was working with industry to put the UK “at the forefront of the next generation of new automotive vehicles and technologies”. She added that the best way to avoid a no-deal scenario was for Parliament to agree a deal and “that is what we’re focused on”. A spokesperson for Ford said the Bridgend engine plant “has a long-established and successful record in the delivery of world-class engines.